"She misses no details and seems almost always to be available to address concerns. She is the ultimate client pleaser." 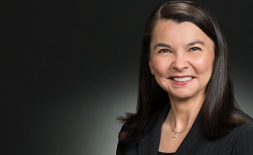 Carolyn Fairless is the co-managing partner of Wheeler Trigg O'Donnell. She focuses her practice on complex commercial litigation and professional liability defense. Carolyn represents sophisticated clients in matters including breach of contract, business torts, intellectual property, personal injury, insurance coverage and bad faith, and professional liability. Carolyn has been called "a lawyer's lawyer" and has successfully defended some of the nation's leading law firms and lawyers in high-stakes legal malpractice matters throughout the country. She also defends insurance, finance, and real estate firms and professionals. There is a common misperception that jurors dislike the types of clients Carolyn represents. Her record of trial success proves otherwise. Carolyn humanizes her clients and presents their cases in fresh and creative ways for judges and juries. Especially when the underlying claims may be complex and potentially confusing, Carolyn develops clear case themes and trial strategies that engage jurors and help make critical information meaningful and memorable. Chambers USA, the leading rankings directory in the legal industry, ranks Carolyn in Band 2 for General Commercial Litigation in Colorado, a distinction that places her among the top 25 commercial litigators in the state. In 2018, the directory wrote "She is noted by a source as 'talented and experienced beyond her years,' adding: 'She misses no details and seems almost always to be available to address concerns. She is the ultimate client pleaser.'" In 2017, Best Lawyers recognized Carolyn as the Denver Lawyer of the Year for Professional Malpractice Law - Defendants. Benchmark Litigation has ranked Carolyn in its nationwide Top 250 Women in Litigation for five years in a row. Colorado Super Lawyers ranks Carolyn in the Top 100 Lawyers and Top 50 Women, as voted by her colleagues and peers. Carolyn is also Martindale-Hubbell AV peer-review rated. 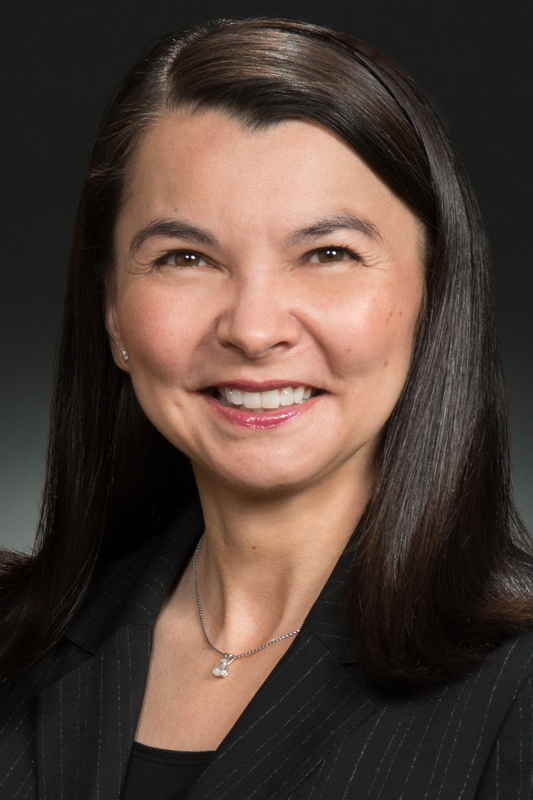 Over the Next 10 Years"
The co-managing partner of Wheeler Trigg O’Donnell, Carolyn Fairless represents sophisticated clients in complex commercial litigation and professional liability defense. Carolyn is ranked in Chambers USA, and is a Fellow of the American College of Trial Lawyers. Won an arbitration award for a lawyer and law firm against malpractice claims related to a 2014 real estate deal. Claimants asserted damages of $3 million plus interest. The arbiter ruled for WTO's client and found that no malpractice occurred. Won a complete defense verdict for a lawyer and law firm accused of malpractice in the handling of a sale of interests in the plaintiff's company. Won an arbitration for a law firm client that sued its former client for unpaid fees and was countersued for malpractice. The arbitrator rejected the malpractice claims and awarded WTO's client its unpaid fees plus interest, as well as its legal fees and costs incurred in the arbitration. Won a complete defense verdict in a professional liability claim against a law firm and lawyer. The plaintiff alleged that WTO's client was negligent, yet the jury found that not only was our client not negligent, but that the alleged negligence didn't cause the claimed damages. Obtained Rule 12 dismissal for a Midwest-based, AmLaw 200 firm facing claims exceeding $500 million in state court in Kentucky. Won a complete defense jury verdict for a major auto parts manufacturer in federal court in Kentucky. WTO was called in just six months before trial in this protracted contract dispute that had already included two trips to the Sixth Circuit. Won Tenth Circuit victory for a law firm client in protracted litigation arising out of a divorce and bankruptcy characterized as "the most complex [the divorce court] has seen in 25 years." The plaintiff-husband sued WTO's client, which handled the bankruptcy proceedings for the plaintiff's ex-wife, and the ex-wife's divorce counsel, in federal court. The Tenth Circuit's ruling in this matter follows a 2015 ruling for our client from the Tenth Circuit Bankruptcy Appellate Panel. Won summary judgment for a large regional law firm in a legal malpractice case involving claims that the firm's lawyers failed to properly advise the plaintiff regarding environmental issues in an underlying real estate transaction. Won a unanimous opinion from the Colorado Supreme Court that strongly upholds Colorado's strict privity rule in determining whether non-client beneficiaries may sue an estate lawyer for malpractice or professional liability. In its opinion, the Court adopted the most stringent test, as WTO advocated, and affirmed that the plaintiffs lacked standing to sue our clients. Howard v. Bottling Group (Colo. Douglas Cnty. Dist. Ct. 2015) - Won a defense verdict for Pepsi Bottling Group in a six-day jury trial. The plaintiff claimed a traumatic brain injury as a result of being struck with falling merchandise from a retail display and demanded $750,000 in damages. WTO's client was one of two defendants in the litigation, and the jury assigned no fault to our client. Prevailed before the Tenth Circuit Bankruptcy Appellate Panel, which affirmed a bankruptcy court's order of summary judgment for WTO's client, a law firm that had been sued for representing its client in bankruptcy proceedings that became intertwined with a protracted divorce in which the plaintiff (to the appeal) was a party. Won a complete defense jury verdict in federal court for a large international law firm accused of malpractice. The plaintiff hired WTO's client to handle a complex patent infringement matter, then sued the firm for negligence and breach of fiduciary duty. Won back-to-back Colorado Court of Appeals victories in June 2013 in legal malpractice cases involving claims of failure to disclose, negligent misrepresentation, fraudulent concealment, and breach of fiduciary duty. Defeated class certification in federal court in Oklahoma in a case involving thousands of claimants against a law firm that represents clients before the Social Security Administration. Following the denial of certification, the court granted summary judgment in favor of WTO's client on all remaining individual claims in the case. Won a bench verdict in state court in a legal malpractice matter. After the law firm brought a collection action against a former client, the former client countered with a multimillion-dollar damages demand, claiming breach of fiduciary duty. Following a one-week trial, the judge dismissed the former client's counterclaim and awarded WTO's client the full amount of fees owed plus interest. Won an arbitration award in favor of a law firm client. The arbitrator denied all legal malpractice claims against WTO's client and awarded it unpaid fees, plus interest, attorneys' fees, and costs. Golan v. Holder, 132 U.S. 873 (2012) - Represented plaintiffs challenging the constitutionality of increasing copyright protection by 20 years and Section 514 of Uruguay Round Agreements Act extending copyright protection to foreign works. The United States Supreme Court ruled the statutes were constitutional. Obtained a Rule 12(b) dismissal of a complaint filed in federal court in Missouri against a large international law firm. The plaintiffs ultimately obtained an eight-figure jury verdict against the remaining defendants in the case. Borders v. Aspen Equestrian Estate (Colo. 2010) - Defended against a real estate company's claims that WTO's client's interference caused the loss of a $2 million investment when it prevented the sale of a shopping center before the real estate market crashed. WTO was retained in the last months before trial, and despite rulings made before WTO's engagement that the basis for interfering lacked merit as a matter of law, following trial, the court ruled for WTO's client on all issues of liability, causation, and damages. Obtained a Rule 12(b) dismissal of a malpractice case against five lawyers. The opposing party appealed the dismissal and, while the appeal was pending, the case settled with no payments being made by WTO's clients. Obtained summary judgment for a law firm client and an award of attorneys' fees in a legal malpractice case in which the plaintiff sought $7 million in damages. The plaintiff appealed the award of attorneys' fees, and the parties settled the appeal with payments being made to the client. Awarded complete summary judgment in a legal malpractice case one week before a multi-week trial was scheduled to begin. The plaintiff had sought over $5 million in damages. Obtained partial summary judgment in federal court on behalf of a large national law firm that had been sued for malpractice, aiding and abetting, conspiracy, and violations of RICO. The ruling reduced the damage claim from over $150 million to less than $2 million and paved the way for a favorable settlement of the case. "Ripped From the Headlines: Real World Cautionary Tales in Attorney Ethics," presented at the Colorado Law Homecoming & Reunion Weekend (October 27, 2018). "A Primer on Lawyers' Professional Liability Insurance," presented at the Colorado Bar Association CLE (January 27, 2017). "Pretrial Discovery and Depositions," presented at the Colorado Bar Association CLE (November 2, 2016). "Insurance Coverage Issues in Estate, Trust and Fiduciary Litigation," presented at the 36th Annual Estate Planning Retreat (June 9-11, 2016). "Baker v. Wood Ris & Hames: Privity Prevails" presented at the Trust & Estate section CLE luncheon series (March 1, 2016). Panelist, "Location, Location, Location: The Decisions Involved in Venue Selection," ABA Fall 2015 National Legal Malpractice Conference (September 17, 2015). "A Primer on Lawyers' Professional Liability Insurance," presented at Colorado Bar Association CLE's Hanging Your Shingle: Hardware. Software. Anywhere You Want to Go (August 20-22, 2015). "Policy Exclusions, Conditions, Endorsements, and Coverage Gaps" presented at the Colorado Bar Association's Understanding Your Professional Malpractice Insurance Policy (December 11, 2014). "Legal Malpractice: Preventing Claims and Grievances" presented at CLE International's The Ethics CLE annual conference (December 8, 2014). "Lessons Learned: Protecting In-House Counsel From Malpractice Claims" presented at the Association of Corporate Counsel's Eighth Annual Ethics Day For In-House Counsel (December 3, 2014). "The Defense Perspective: How Loss Prevention and Firm Management Practices Can Impact Malpractice Claims," presented at an Ethics CLE at Wheeler Trigg O'Donnell (November 19, 2014). "Attorney Liability to the ‘Near Client' and Non-Client: It's not just your clients you have to worry about!" presented at the Pilot Legis Annual Member Conference (November 7, 2014). "Hazards in Co-Counsel, Local Counsel and Referral Relationships," presented at the AON Law Firm Symposium (October 15, 2014). "Malpractice Insurance - Hanging Your Shingle: Your Future Begins Now," presented at the Colorado Bar Association CLE (August 15, 2014). "Protecting Yourself and Your Firm: What are the Questions to Ask About Insurance Coverage?" Tail Coverage, Lateral Hires and Moves, Changing or Renewing Policies, Retirement, and Much More! (January 30, 2014). "Avoiding Missteps in Handling Litigation and Other Disputes," presented to the Association of Corporate Counsel Colorado Chapter (December 5, 2012). "Ethics: Be Careful What You Ask For: Pitfalls in Settlement Negotiations," presented at the Network Trial Law Firms' Litigation Management in a New York Minute seminar (August 10, 2012). "Policy Exclusions, Conditions, Endorsement, and Coverage Gaps: Malpractice Insurance Coverage - What's Your Policy?" presented at the CLE accredited seminar, Denver, Colorado (April 15, 2011). "Human Resource Management and Oversight," presented at a legal malpractice prevention CLE (January 27, 2011). "Deposition Strategy 101," Colorado Defense Lawyers Association CLE Seminar (December 4, 2009). "Preventing Legal Malpractice, Potential Pitfalls and How to Avoid Them," Colorado Bar Association Continuing Legal Education Seminar (2009-2013). "Alternative Dispute Resolutions/Mediation Settlement Strategies," presented at CNA continuing education program (March 13, 2008). "Preventing Legal Malpractice," presenter and panel member, Colorado Bar Association CLE (January 17, 2003 and January 31, 2008). "Interviews With Former Employees: Strategies and Pitfalls," The Prac. Litigator, at 47 (March 2005). "Non-Liability to Non-Participants: A Manufacturer's Duty Should End at the Playing Field, and Not Extend to Criminal Acts," Mealey's Prod. Liab. & Risk (August 29, 2002). DRI The Voice, March 30, 2016. Law Week Colorado, "High Court Sticks With ‘Strict Privity,'" January 27, 2016. Denver Business Journal, "Colorado Supreme Court: Attorneys Can't Easily be Sued by People They Don't Represent," January 19, 2016. Denver Business Journal, "Fostering Culture Helps Law Firms Woo and Retain Top Talent," January 15, 2016. Law Week Colorado, "WTO Partners Rack Up Defense Wins," November 30, 2015. DRI The Voice, November 4, 2015. Carolyn Fairless Named One of "Five Female Attorneys Who Will Make an Impact Over the Next 10 Years"
Law Week Colorado, "Top 50 Women: 2015," April 8, 2015. Law Week Colorado, "Malpractice Master," December 15, 2014. Denver Business Journal, "Management Team Grows at Wheeler Trigg O'Donnell," October 3, 2012. Law Week Colorado, "Wheeler Trigg O'Donnell Expands Executive Team," October 3, 2012. Network of Trial Law Firms, "Ethics: Be Careful What You Ask For: Pitfalls in Settlement Negotiations," August 30, 2012.